London is packed with world-famous attractions, from royal palaces and historic landmarks to museums, galleries and street markets. And the great news is loads of them are free. Let’s start with the iconic landmarks. Big Ben and the Houses of Parliament, Westminster Abbey, Buckingham Palace, the London Eye – you can see all of these without spending a penny (but you will have to pay extra if you want to snoop around inside the Abbey, Buckingham Palace or the London Eye). Van Gogh’s Sunflowers, Turner Prize pieces, a dinosaur gallery and life-sized blue whale – they all live in London, and you can see them all for nothing. London is home to over 300 museums and galleries, and many of them offer free admission. Don’t miss the Tate Modern, Tate Britain and theV&A Museum. If you’re with the family, take the kids to the Natural History Museum and the Science Museum for a day packed with giant artefacts and hands-on experiments. Travelling on a budget doesn’t mean you have to miss out on London’s world-famous West End theatre scene. If you’re after cheap theatre tickets, head to the official tkts booth in Leicester Square where you’ll find the best seats in theatre at half the normal price. 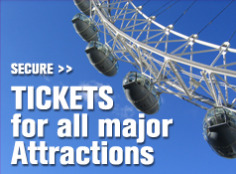 And don’t worry about being palmed off with fakes – tkts is operated by the Society of London Theatre, the industry body that represents London theatres. If half price theatre tickets are still stretching your budget, we’ll let you in on a little secret. 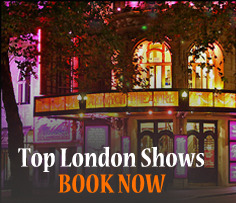 Every night, The Royal Court Theatre in Sloane Square offers standing tickets for 10p. But you have to be quick, these are first-come-first-served and there are only 8 of them available each night. The secret to getting around London on the cheap is to do it like a Londoner. So make sure your first purchase is an Oyster card – it’s the fastest and cheapest way to travel around London by public transport. As you wander around London, you’ll come across bike racks with bikes for hire. These are part of the Barclays Cycle Hire Scheme, known as ‘Boris Bikes’ to Londoners (after the mayor, Boris Johnson). They’re easy to use and a great way to see the city without getting on a bus or tube. Simply use your debit or credit card to pay a small access fee for a bike, then take it out for a ride! You’re charged for the time your bike is checked out of the dock, but if you dock your bike at any Barclays Cycle Hire Scheme dock within 30 minutes of the last check out, you won’t be charged a usage fee. Find out more about the scheme and costs at the Barclays Cycle Hire website. Forget the Michelin starred restaurants – if you’re looking for the best food in London, head to the markets. Portobello Road, Camden, Greenwich, Spitalfields and Brick Lane markets offer a great range of cheap and delicious street food from every corner of the world. A treat for your tastebudsand your wallet. If you’re looking for somewhere to eat cheaply at night, head to the nearest high street, where you’re sure to find chain restaurants like Pizza Express, Café Rouge, Wagamama, GBK and more, all serving tasty food at very reasonable prices. But don’t overlook the independent local restaurants, many of them run great value meal deals to compete with the bigger chains. Believe it or not, there are several excellent campsites within striking distance of central London. You can save a huge amount by camping in the capital and it’s more convenient than you might think. Try Abbey Wood campsite in south London near Greenwich, only 35 minutes by train to the centre, or Crystal Palace Caravan Club that’s on a bus route to Oxford Street. Camping is also a great value option if you’re visiting for the London 2012 Olympics. Posted on July 30, 2012, in Cultural and Heritage, Free stuff in London, London for kids, London Olympics, Sightseeing Tours, Travel Tips. Bookmark the permalink. Leave a comment.